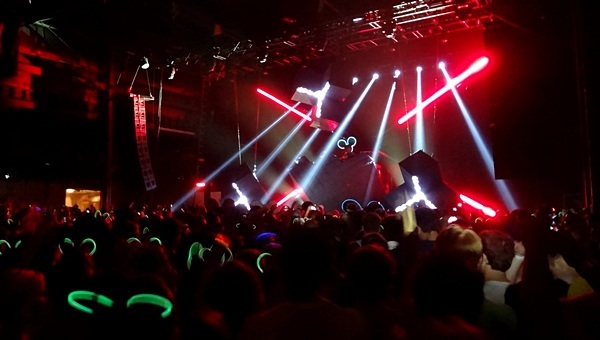 You just know when you're trying to get to a show but Mother Nature just isn't cooperating, that in the end, that show is gonna be awesome. On Sunday evening, after months of drought and infrequent drizzles, downpours of rain and gusts of wind prevented me from walking the three blocks to Palladium Ballroom for nearly half an hour. 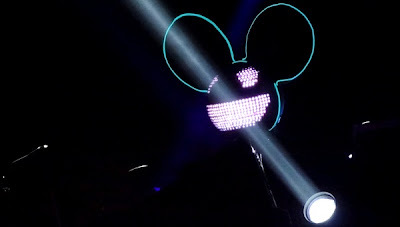 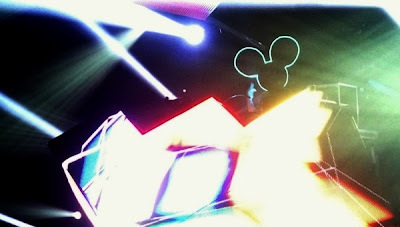 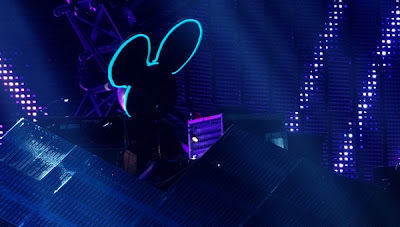 At the promised land was one Joel Zimmerman, who the civilized world knows as the electronic artist Deadmau5. 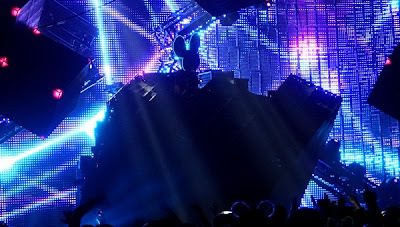 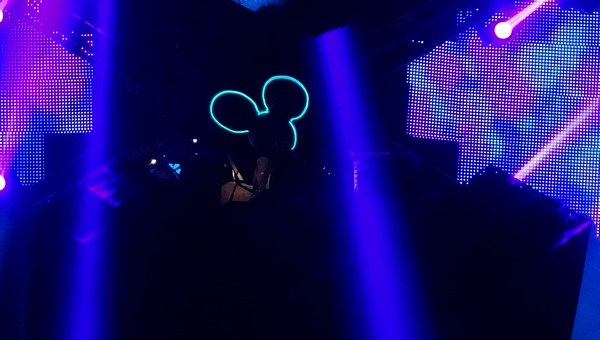 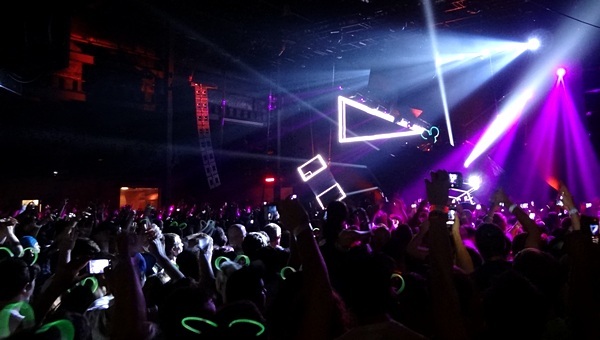 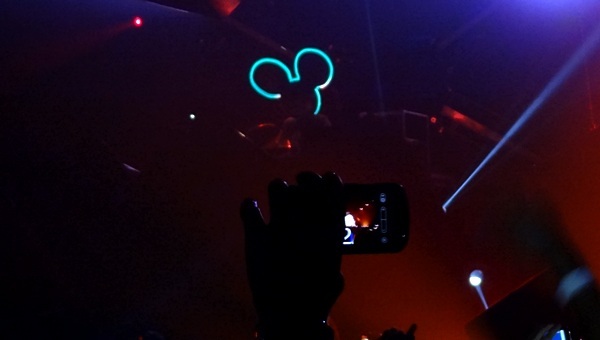 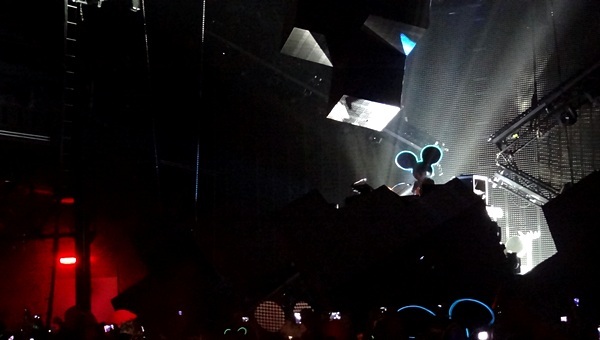 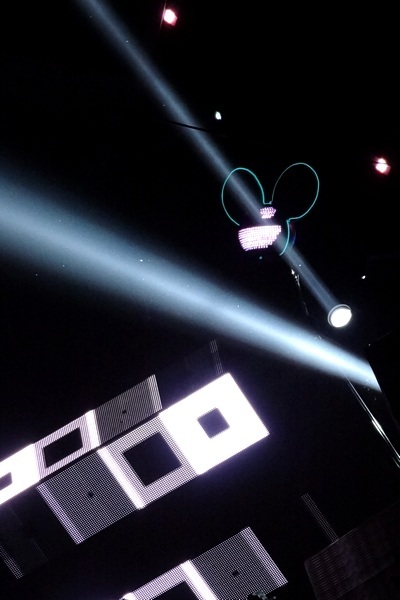 While I was in New York, Deadmau5 exploded onto the electronic scene and was selling out venues left and right. And as luck would have it, I was given a golden ticket to cover one of his sold out shows at Terminal 5. And as life taketh away, I had to go to Washington DC for Thanksgiving and would miss his run of shows entirely. So finally seeing Deadmau5 was not just a half-hours walk to Palladium, it was two years in the making. After dodging most of the sheets of rain and safely inside the confines of the Ballroom, I was rudely welcomed by Excision, as he had just unleashed his 'bass cannon' and rumbled a stretch of jet engine fury into my unsuspecting ears. 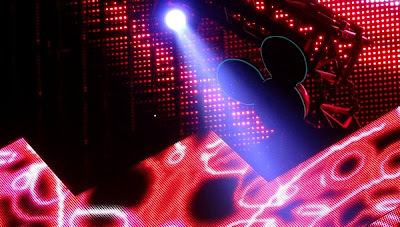 In go the ear plugs. 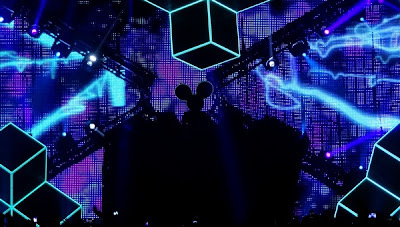 His dubstep happy set was paired with visuals upon two large screens to his sides, most of which looked like screensavers and visualizers for iTunes. 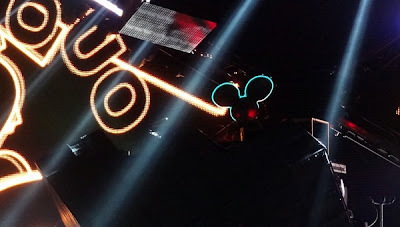 The crowd ate it up though. 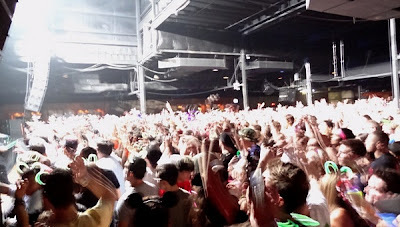 I noticed the same thing at Identity Festival is that Dallas has really embraced dubstep and will come out in droves to hear it. 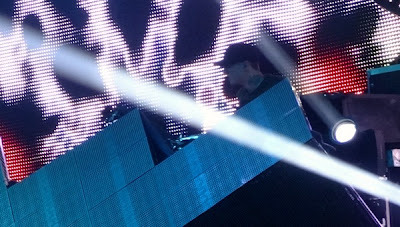 But as much as the rest of the crowd was enjoying the bass-heavy set, I began to wander around the Ballroom, casually taking in his set as I was there for one artist, and one artist only. 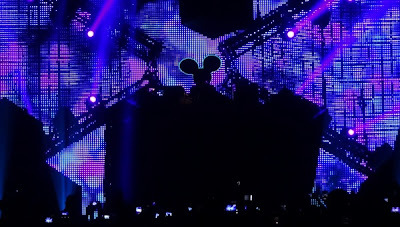 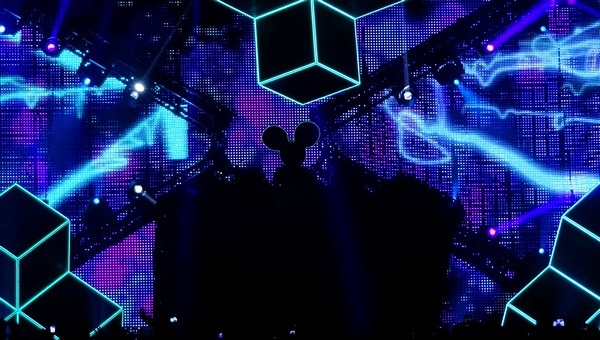 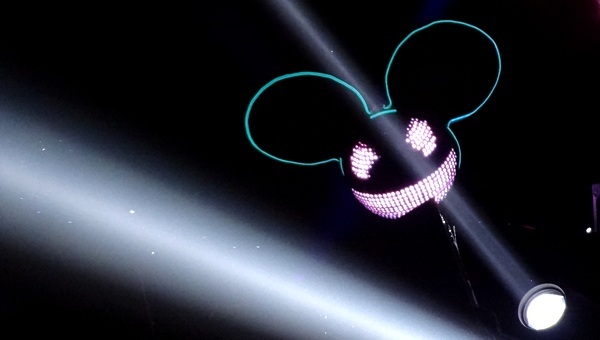 The Mau5.